Check out if TED is in The Top 100 NGOs 2013 Edition! Inspiring change through access to ideas. More than 900 TEDTalks online. 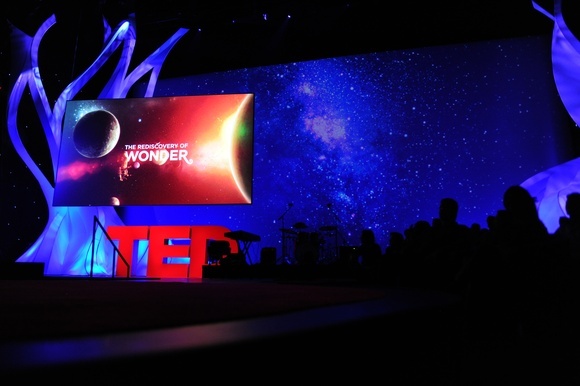 Founded in 1984 as a one-off event in Monterrey, TED (Technology, Entertainment and Design) has evolved into a global series of conferences administered by the nonprofit Sapling Foundation since 2001, and intended to disseminate ‘ideas worth spreading’. Twice yearly in Long Beach and Edinburgh, a selection of guest speakers drawn from science, technology, business, the arts, the non-profit sector, academia and government are invited to give ‘the talk of their lives’ in 18 minutes or less. Firmly committed to the premise that ideas can change the world, TED aspires to build a digital ‘clearinghouse’ that offers free knowledge and catalytic inspiration through video access to these diverse ‘TEDTalks’. Seeking to leverage the collective resource represented by the growing TED community and encourage the cross-pollination of ideas, the organization has continued to unveil new related initiatives. The ‘TED Prize’ is awarded annually to an individual granted ‘One Wish to Change the World’, while the ‘TED Fellows’ program aims to assist ‘world-changing’ innovators from around the globe amplify the impact of their projects and activities via access to the TED network. More recently, the ‘TED Open Translation Project’ has been established to convey TEDTalks beyond the English-speaking world, offering subtitles, interactive transcripts and the ability for volunteers worldwide to contribute translations (with 21,000 completed to date).